I finally managed to get out and see the Mapping Our World exhibition down at the National Library. I’m surprised that it took this long to go see it. The exhibit is directed towards the discovery and mapping of Australia. 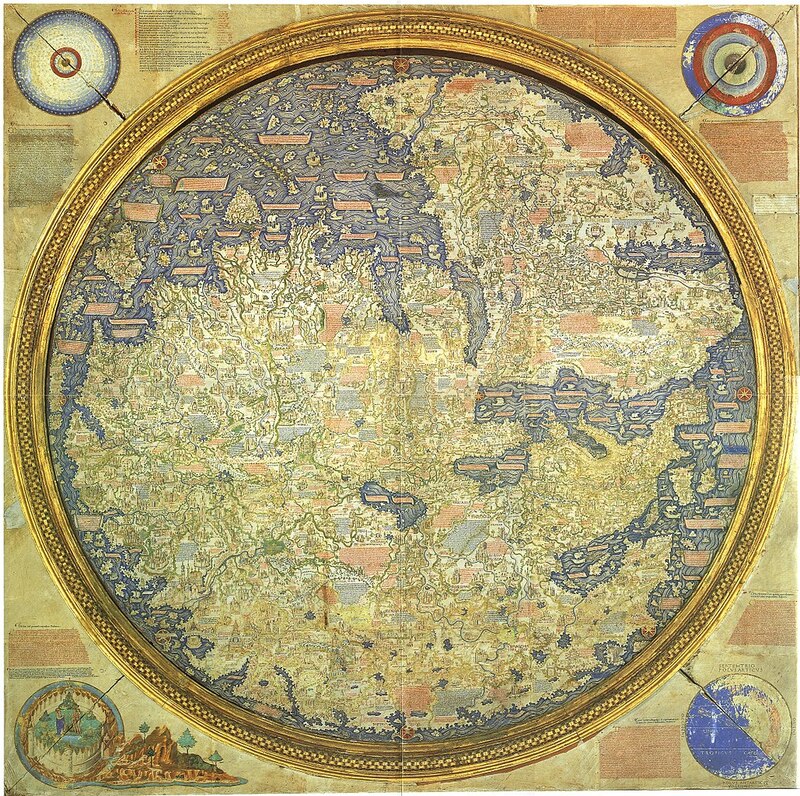 But the real features for me were at the start of the gallery, particularly of the mappa mundi by Fra Mauro, among other ancient and antique maps which held my interest. The map is oriented in South to North and was created using other charts of the era. Mappa mundi like these were more like infographic charts than used for actual navigation, containing information about the Known World. Outside of the main map, is the Garden of Eden in the lower right, unreachable to Material World. The entire thing is a representation of God’s creation, but also a summary of international travel, trade and exploration. It’s worth checking out the exhibit just for this piece alone, considering its size and preservation. The rest of the exhibition is interesting, covering English, Dutch, French and Spanish exploration and mapping the world technology and techniques. 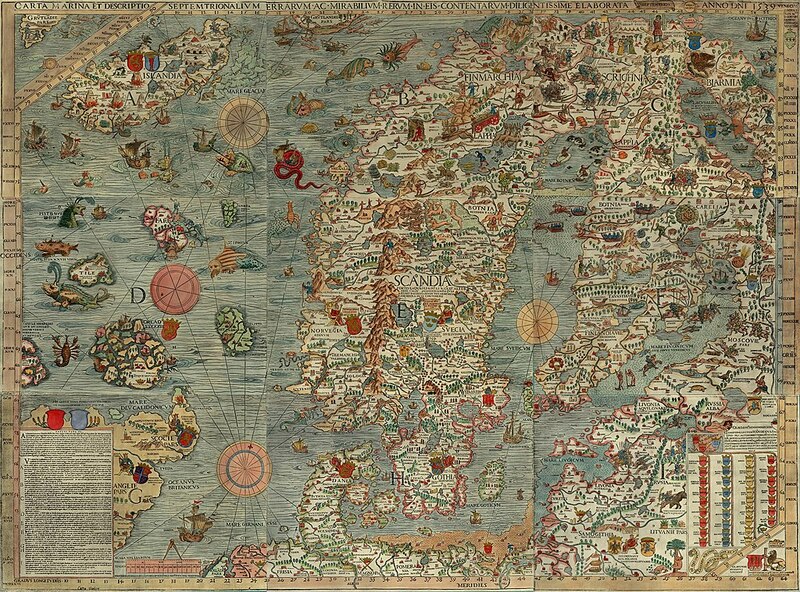 For me this is a classic Here-Be-Monsters map, it also has several other important features including the mythological island of Thule (seen a Tile) and the Maelstrom off the coast of Norway. And tucked away up in the north corner is Iceland. This entry was posted in art and tagged exhibit, Fra Mauro, mappa mundi. Bookmark the permalink.